High quality unmounted rubber stamp from Sue Wilson. Creates crisp and clean lines. Simply mount your stamp onto an acrylic block and get stamping! Coordinates with CED4371 Frames & Tags Millie. 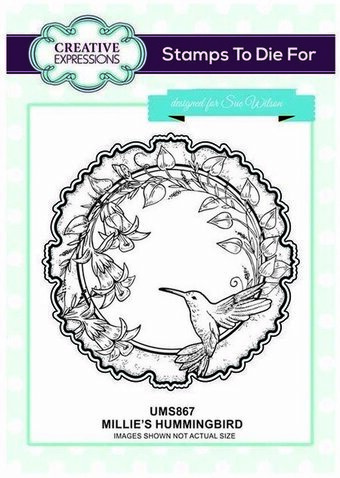 Cling Stamp featuring a Hummingbird. Deep Red stamps are made of a blend of natural rubber and are attached to a cling foam pad for better definition. Approximate Size: 2" x 1.75".